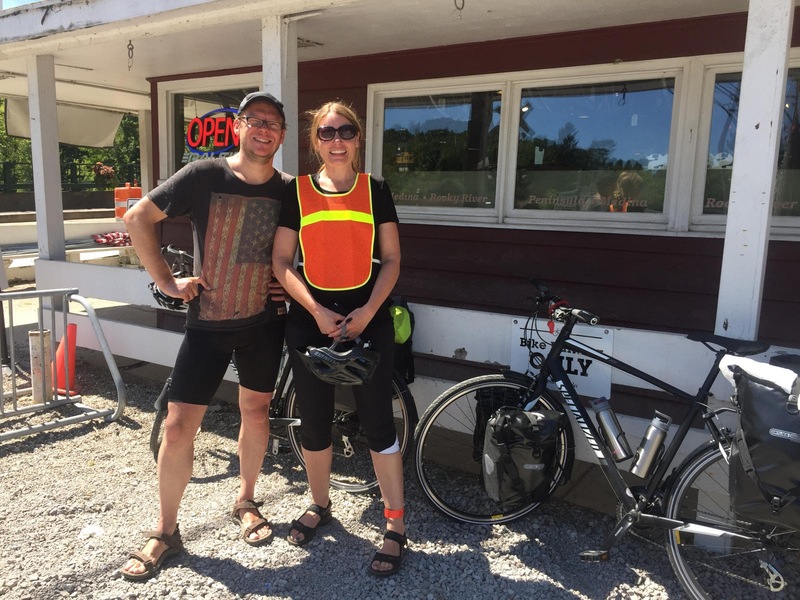 Our latest bicycle touring visitors at the Century Cycles store in Peninsula were this couple from The Netherlands. Their names are Kees-Jan and Angela. They flew into Boston and purchased their bicycles, then rented a car and drove to Buffalo. They started their ride there, and were on their fifth day of riding when they stopped into Peninsula for some new bike shorts, a taillight, and that snazzy vest that Angela is modeling. They plan to continue south on the Adventure Cycling Association's Underground Railroad Bicycle Route until it crosses the Great Rivers South Route, then proceed to New Orleans. You can see more photos of long-distance cyclists that have visited all three Century Cycles stores in our Bicycle Touring Photo Gallery.